Set throughout the globe and torn from the pages of the hidden history of the world. 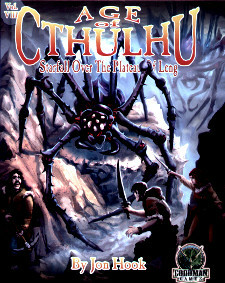 Age of Cthulhu adventures bring new secrets and mind-bending horrors to your 1920s Call of Cthulhu game. Each adventure comes with copious player handouts, detailed maps, and pre-generated investigators, ready to risk their lives and their sanity to confront the horrors of an uncaring universe.